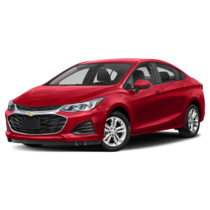 The 2019 Chevrolet Cruze is a small sedan with a big personality. Loaded with modern styling inside and out, excellent fuel efficiency via the standard 1.4L turbo-charged gas engine or available 1.6L Turbo-Diesel, the latest technology features such as support for Apple CarPlay and Android Auto, and flexible cargo space in the hatch model – the Cruze is more than meets the eye. 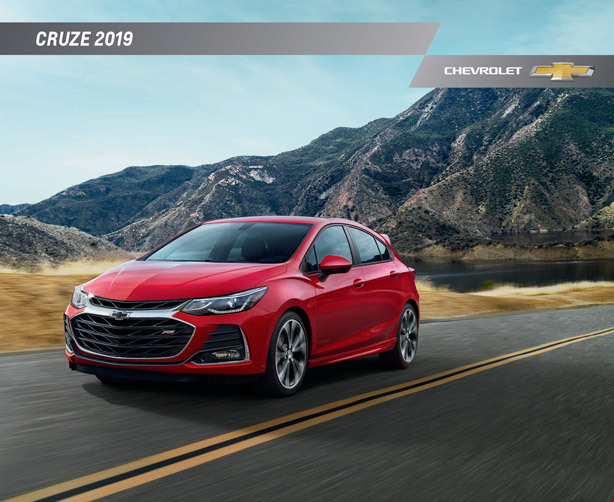 Simply click the button below to view and download the 2019 Chevrolet Cruze brochure, where you'll have access to tons of high-resolution photos of the interior and exterior of the sedan and hatch models, explore key features, and view specifications. We think you and this tiny titan will be fast friends. Ready to hop into a brand new 2019 Chevy Cruze? Click the button below to view our inventory where you'll find a listing for each model we have on our lot. For your convenience, you can view these listings on your smart phone, tablet, or desktop – and we update so you never have to worry about getting the wrong info. Each listing includes pricing, photos, included features, and available incentives and rebates. Once you find a 2019 Cruze that catches your eye, give our team a call at (989) 684-4411 and schedule a test drive! If you don’t see one you love, let us know and we’ll help you out!